Datix is an Epicor Gold Partner renowned for its wide array of forward-thinking services and solutions. 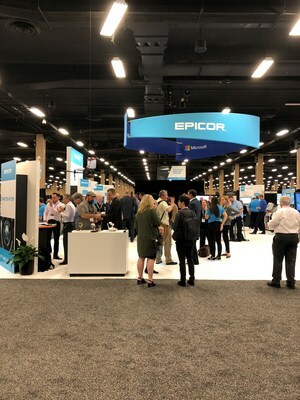 One of those solutions is Unity, an integration application which uses sophisticated API technology to connect Epicor ERP, Prophet 21 and Epicor BisTrack to a variety of CRM and Marketing Automation systems, including Microsoft Dynamics 365, HubSpot, Sugar and Pardot. The seamless integration creates a central hub for data, empowering enterprise-wide transparency, collaboration and productivity. Manufacturers and distributors can use Unity to gain a 360-degree view of customers and operations. The flexble, scalable solution can fit a variety of business needs and be installed quickly and easily.